Some good news about diet soda; Pepsi has announced that starting this week, they are releasing a reformulated Diet Pepsi (in the US) that doesn’t contain Aspartame. The logo and the color of the can are the same, but “NOW ASPARTAME FREE” is noted in small capital letters across the top of the can. It’s good news that Aspartame is being dropped by Pepsi. Aspartame has been considered by many to be toxic – do a web search yourself for aspartame toxicity or visit websites like SweetPoison.com which “provides a variety of aspartame information.” I highly encourage you to do some research yourself and if nothing else, be aware than there is a lot of controversy surrounding aspartame. I’m personally not interested in taking the risk of consuming it. Ditch the diet soda habit. As noted in previous posts here and elsewhere on the web, diet sodas seem to contribute to obesity and belly fat. There have been numerous studies that link consumption of diet soda to increased weight gain and abdominal fat. For example, a recent study released by the Journal of the American Geriatrics Society, there is a direct relation between increasing diet soda intake and escalating abdominal obesity. I recommend that you read the studies yourself, cut back on soda, and if you *have to* have a soda, skip the diet drinks and go for one sweetened with real sugar. By the way, as noted in this article in Self Magazine – weight gain is only one of the risks associated with diet soda – many other concerns and questions about diet soda have been raised as well. 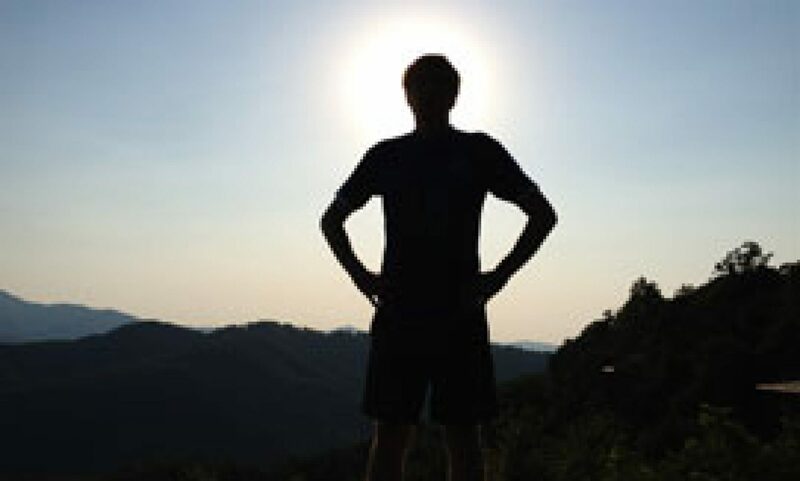 This is one of the simplest things you can do for yourself to increase your health. 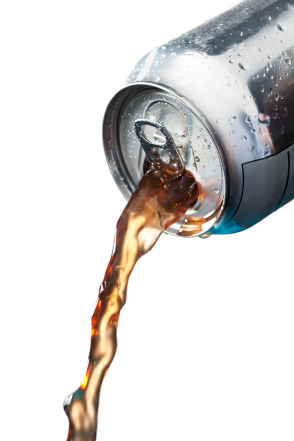 You face the choice of either artificial sweeteners and their unknown or unwelcome side effects, empty calories soda sweetened with High Fructose Corn Syrup or sugar sweetened soda.There are so many other healthier alternatives besides soda – besides, and many studies have indicated Americans don’t drink water, so thats the best alternative. It’s good news for your health that Pepsi is ditching aspartame. Make it better news by ditching diet soda altogether and enjoying an occasional soda sweetened with real cane sugar. Make the best choice for your body by giving up soda altogether – you won’t miss the calories, and you certainly won’t miss some of the negative effects it can have on your health. Still need more reasons to avoid artificial sweeteners? I’ve posted in the past regarding artificial sweeteners and their detrimental effects on your health. It’s such a tempting idea – something for nothing – all the sweetness of sugar and none of the calories or problems that come from eating lots of sugar, drinking sugary drinks, and eating sweets, etc. It sounds too good to be true! And it is. Research continues to show that there is a cascade of bad effects that happen when you take in artificial sweeteners. You won’t necessarily drop over from drinking one diet soda – but if they’re bad for you why drink even one? Consider this: most rationale people wouldn’t eat a slice of cake or a brownie baked from a mix that only had a few – maybe even only 1 or two mouse droppings – because even in that small amount, we know it is not good for you. So why include diet soda or products with artificial sweeteners in your diet at all. A recent article published by the CBC references several researchers and several new studies that once again link artificial sweeteners to both obesity and type 2 diabetes. I think it is best to avoid soda of all types – either sugar sweetened or artificially sweetened. What is especially troubling in the CBS article is a French study that is referenced. The beverage habits of more than 66000 women were followed for more than 14 years. All soda or pop drinkers had an increased risk of developing type 2 diabetes – but the diet soda drinkers had an even higher risk than regular soda drinkers. Why risk it at all – there are plenty of other healthy options to explore, including just plain water. Take one small step today toward a healthier lifestyle by dumping artificial sweeteners from your diet – you’ll be glad you did. Questions or comments – use the reply form below. I’d love to hear from you. Are you still drinking diet soda? This is a tricky subject for many people. In an attempt to be healthier and lose weight, diet soda seems like a good or at least safe choice. Many studies would suggest otherwise. If your goal is to move toward a healthier lifestyle and a sustainable healthy diet, you may want to consider ditching diet soda altogether. Consider that if you do an internet search on “health benefits of diet soda” that in addition to not finding studies extolling the health benefits of diet soda, you will find many references to the negative impact of drinking diet soda. About the only benefit that can be pointed out is fewer calories when compared with sugar or HFCS sweetened soda. In addition, your search will also point you to sites pointing out the negative impact that any soda (diet or not) will have on your health. Your best bet is to take steps to move from soda to other beverages. If I gave you a list of things to do to move to a healthier lifestyle, I would put ditching diet soda at the top of the list. 1. Numerous studies associate diet soda consumption with a larger waist circumference. There are many studies that are finding this link, and there are several possible explanations. If you are drinking diet soda to lose weight and for a thinner waist, then this is reason enough to give it up. Many studies point to a connection between diet soda consumption and metabolic syndrome, which will increase further this effect. 2. There continue to be questions regarding the long-term safety of artificial sweeteners. Using google.com to search for Aspartame along with terms like long term effects or safety will reveal more than a million results or half a million respectively; a quick review of these links turns up enough troubling information to make me want to skip aspartame altogether – not just in soda or beverages. As an example, check out these two studies from the US National Library of Medicine National Institutes of Health regarding the long term intake of aspartame on antioxidant defense status in liver and the long-term consumption of aspartame and brain antioxidant defense status. These are just two of many studies that have been done, and these focus only on the antioxidant effects of these two important organs. It’s your body, you only get one, and you owe it to yourself to do the research to understand the potential risks. coffee, tea (green or black), water, herb teas or if you really want the fizzy feel of soda, consider plain seltzer water, seltzer water with a fruit essence flavor, or mineral water. Each of these brings it’s own benefits without the risks and negative impact of diet soda. Have questions or want to leave a comment about your experience with diet soda? Use the field below – I’d love to hear from you! what’s the deal with seltzer water? 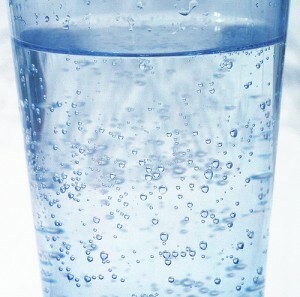 You have seen seltzer water reference in a few of the posts here now. Some of you have asked “what’s the deal with seltzer water”? It’s not bad for you. It’s a great substitute for soda if you like fizzy drinks. It feels fresh and clean bubbling on your teeth. It has zero calories, though you can mix it with fruit juice for a low-calorie drink. You can make it at home (I do, with a sodastream carbonator). Make sure you read the labels! Some fruit flavored carbonated waters are sweetened with artificial sweeteners which have their own health concerns. Healthier choices don’t mean a tasteless diet! If you’ve already created a food diary (logging everything you eat and drink for a week), then it’s easy to review the items you’ve consumed and watch out for things you should avoid. You can reference the list of items to avoid here – don’t lose heart, there are healthy alternatives for everything! 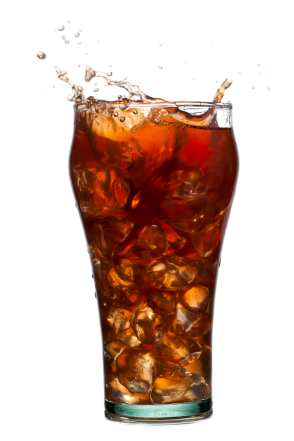 -Diet sodas have their own issues – it’s best to avoid them. -Look for grilled, baked, broiled or roasted alternatives. These are just a few of the possibilities – get creative and make it a game to find healthy substitutes! Remember to watch your portion sizes on anything you eat – start by cutting everything in half. Also remember to take the time to thoroughly chew each bite. This allows you to savor the flavors and textures, helps with the digestion process by grinding up the food thoroughly and giving the enzymes in your saliva a better chance to do their job, and slows you down so that you won’t keep eating past the point of being satisfied. A recent blog post here highlighted the importance of creating a food diary. The best place to start with a review of your diet is with a food diary; simply record everything you eat and drink for a week. If you’ve already done this – good! If not, start your food diary today and I will show you how to do a simple review of the things you consume in order to identify things to skip or minimize, and reinforce some the good things in your diet. This post focuses on things that you need to stop or limit to an occasional treat (circle these things in your food diary in red). While this is not a comprehensive list, this list of 10 items is a start – not necessarily the “top ten” or ten worst, but a starting place for your review of the things you consume. This review is not a substitute for an in-depth nutritional analysis, it is intended to help you move toward a healthier diet. Sodas – both diet and sugary. Empty sugar calories at best. May also contain unhealthy artificial sweeteners. Juice drinks Most of these are sweetened beverages with some added fruit juices – you have to read the labels! Fried food Too many bad things to list here! Let’s leave it at the high fat content for now (how about grilled instead?) Fried food will get its own post in the future. Cakes, cookies, pies, etc. High sugar, often high fat with little or no fiber, and lots of calories. Sauces, dressings, and toppings Often high calorie with lots of added sugar, salt, and fat. These can make a healthy dish unhealthy, or turn something already unhealthy into something very bad for you. Candy Added sugar that nobody needs. Kudos if you have dark chocolate – just don’t have too much. Coming next – suggestions on how to move away from these with substitutes and healthier choices. What ONE change could you make in your diet that would probably Have the biggest impact on your health? Ready for the bottom line on this one? Don’t open another can of soda! Whether you call it pop, soda, or coke – this is THE one item you should eliminate from your diet if you haven’t already done so. For most people, this is the one dietary change that will yield the biggest and most dramatic results. For many people this may be the one biggest source of calories; the biggest “food group” that they consume. Consider that one 20 oz bottle of soda a day adds up to be a total of about 87000 calories over the course of a year – that’s the rough equivalent of the calories in over 24 lbs of fat. 1. 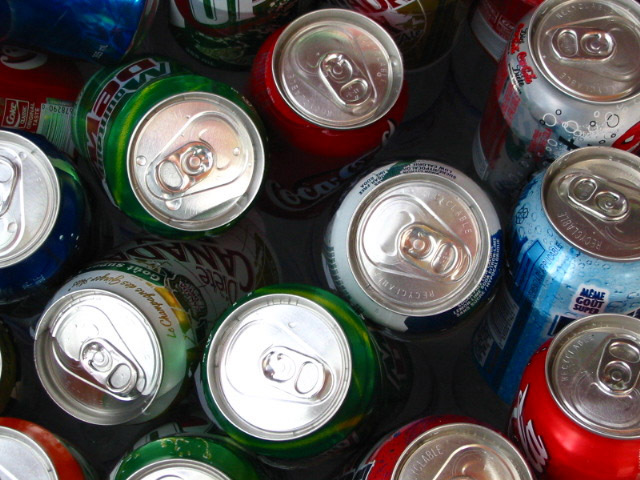 Studies have shown a link between consumption of diet sodas and the development of obesity. Most people are shocked the first time they hear this. Studies indicate many possible reasons for this, which we’ll explore further in future posts. 2. Studies have also linked consumption of diet sodas with metabolic syndrome and the development of type 2 diabetes. (Metabolic syndrome is the name for a group of risk factors that raises your risk for heart disease and other health problems). Options instead of soda are many, including coffee, tea (black, green, white, herbal), seltzer water, or perhaps the best option – just plain water. Upcoming posts will include a breakdown of the most commonly used sweeteners – both natural and artificial. This will include info you may not know (but should), and disinformation about various sweeteners (that needs to be cleared up). Questions about soda, sweeteners, or any of the above? Leave me a comment – I’d like to hear from you!